Lieutenant Reed served under my command in Motor Torpedo Boat Squadron Two during the Solomon Islands campaign. He showed great courage on a number of occasions, an extraordinary zest for work and fine ability which made him one of the outstanding officers in the area. 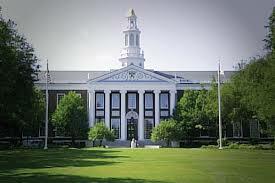 Now he has returned and has applied for admission to the Harvard Business School. He has many fine qualities and should be a credit to the School. As pointed out by historians, the letter was not entirely accurate and contained two “puffs.” Jim Reed never served under John Kennedy and Kennedy was not the executive officer of Squadron Two.